Posted on April 24, 2015 at 2:33 pm. Sales People: ‘Order Takers’ or ‘Relationship Managers’? Many of our B2B customers struggle with the challenge of turning their sales people from ‘order takers’ into true ‘relationship managers’. This is particularly true of companies who sell to large and complex clients. I’m talking in particular about situations where a large account generates annual revenues of €1m (or £ or $) or more, often as part of a long-term contract. The same challenges apply to smaller accounts but the dynamics of large accounts and big deals are a little different. For starters, winning a 5-year or 7-year contract worth €5-10m a year is always an expensive and long-drawn out sales process. Bid teams are often assembled, and may spend months (or even years) working on a bid. The buying organisation often starts with a long-list of potential suppliers, whittles it down to a short-list, and ends up with a ‘bake-off’ between the final two. The worst position of all for a bidder is to end up coming second, as they may end up with bid costs running into seven figures, and nothing to show for it at the end. You may think that the evaluation criteria that the buyer has shared with you is what determines the decision. Don’t be fooled. Many buying decisions are made independently of the stated evaluation criteria, and quite often the scores are adjusted after the event to fit the decision. Ultimately, decision-makers spend big money in the expectation that it will transform their business. 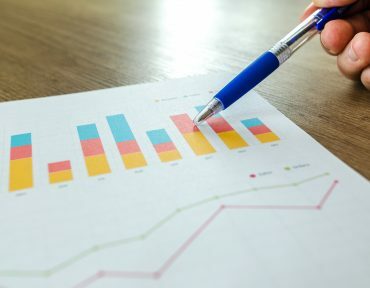 And because there is a strong emotional component in the decision-making process (their reputations and jobs may be at stake) they base their decisions on an assessment of the individuals making the sales pitch – possibly more so than the product or the solution that is on offer. That’s where it’s important to know the decision-makers, and to be seen as a trusted advisor by them – a true ‘relationship manager’ as opposed to a bidder or an ‘order-taker’. You won’t become a trusted advisor overnight. You first have to build credibility with the client, and be seen as a person who can add value outside of a pure technical or sales role. You have to spend time with them and be able to put yourself into the shoes of the CEO and understand the business issues that he or she is facing. Trusted advisors are not meek. They are comfortable having robust conversations with senior executives and are not afraid to challenge them. Similarly, good senior executives are happy to be challenged, as long as they think you have a well-thought through point of view, and are acting in their best interests. That requires integrity, an intimate knowledge of the company, a business perspective rather than a technical perspective, and a genuine desire to help solve the problems faced by the business. I’ll leave you with a final thought. If you are managing a sales team, be aware that not everybody in your team is capable of becoming a trusted advisor. For some, no amount of training or up-skilling will help them make the leap from ‘order-taker’ to true ‘relationship manager’. If you’re a CEO or Sales Director and you think this might be an issue in your organisation, you will need to bring in some new blood. Really good sales directors are great at motivating and training their people, but they are also ruthless when they feel a sales manager just does not have the capacity to become a trusted advisor. Posted on September 22, 2014 at 3:21 pm. The last time we met Susan and Bill, they were discussing survival tactics. Thankfully, they have managed to get the company back on an even keel – excuse the boating pun – over the past few months and now have a new challenge to face. At the last board meeting, the CEO asked them to prepare a strategy that would transform the company from an ‘Even Keel’ company to becoming a ‘Leading Edge’ company. Unfortunately, Susan and Bill are at loggerheads trying to plot a course towards that Leading Edge organisation that their CEO so desperately wants to become. Bill has a slightly more nuanced view. He accepts that it’s his job to translate customer needs into the sorts of products and services that the clients will love and buy, but he also makes the valid point that he and Susan are in a B2B services business, and that Susan’s account teams (as well as the Service/Delivery teams) have a key role in making the service a Leading Edge one in the client’s mind. As usual, Bill is half-right. And so is Susan. But let’s start by bringing a little clarity on the terms we are using. Let’s begin with a definition of what a ‘unique’ brand is in the business-to-business world. In the B2B world, the uniqueness of your brand is dependent on a combination of whether you provide a unique Solution for your clients and whether they find the Experience of working with you to be uniquely satisfying. 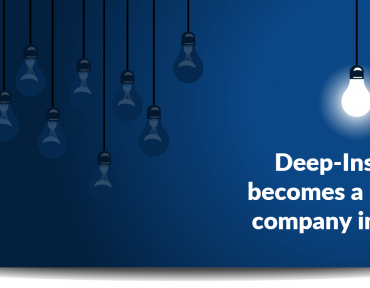 Deep-Insight defines Solution as a combination of innovation, leading edge and value-for-money. These are three related but slightly different concepts but if you score well on all three, the chances are that you have an offering that can help your clients improve their standing in the marketplace in a way that none of your competitors can provide. When we talk about ‘solutions’ we’re not just talking ‘product’. As Bill says, it’s as much about how the account managers, sales and delivery teams position your company’s product or service, as it is about the product/service itself. Experience is a measure of how easy you are to do business with and if you are seen as a trusted partner. You can have the best products or services in the world but if your clients can’t work with you and don’t see your people as trusted partners, your brand is going to suffer. So when Bill and Susan’s CEO talks about wanting to be a unique, innovative, leading edge company, he’s really talking about building a B2B brand that excels at all the different elements that we group under the headings Solution and Experience. And that means the Bill and Susan need to work together to get all those elements right. But as the methodology above shows, you can’t build a unique B2B brand without having an excellent service to underpin it. So Bill and Susan and going to have to rope in the Operations Director as well. We wish them well on their journey. Ultimately, the real definition of Leading Edge will be dictated by your customers. But you’ll never know if you don’t ask them. 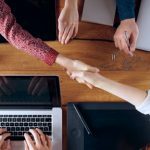 Why are Trust and Commitment so Important in B2B? Posted on June 13, 2014 at 3:35 pm. The funny thing about business-to-business (B2B) is that it’s less about business and more about relationships. In fact, B2B is really P2P – person-to-person. And the answer to that question is usually based on the perception of whether the individual can be trusted or not. Even in business situations where a large contract is put out to tender and a clear set of evaluation criteria is prepared to help guide the choice of service provider, the decision is often made on softer and often unwritten criteria. Sometimes decisions are made on the basis of price, sometimes on the basis of functionality. But when it comes to making the final choice to award the contract, subtle psychological elements come into play. Fundamentally, we like to buy from people we think are honest, who will treat us fairly and who will act with integrity. In other words, people we trust. Two American scholars figured this out two decades ago. In 1994, Robert Morgan and Shelby Hunt wrote a seminal paper on what really drives a long-term relationship between two business partners. The Commitment-Trust Theory of Relationship Marketingquickly became a hit, not just in academic circles, but among senior business executives who were trying to identify why people were likely to do business with you. Essentially, what Morgan and Hunt realised all those years ago is that long-term business relationships are built on a mutual and cooperative working relationship between two partner firms, and that to foster and nurture such a relationship, Trust and Commitment are the two critical elements to focus on. Posted on May 13, 2014 at 3:42 pm. B2B is all about establishing strong people-to-people relationships. Trusted, committed relationships. And yet, here’s an interesting statistic. When we look at the correlations* between the various drivers of customer retention in our Customer Relationship Quality (CRQ™) methodology, guess what the strongest correlation is? It’s between Service Performance and Trust. When I first noticed this correlation, I was somewhat puzzled. It didn’t surprise me that Trust was strongly correlated with Service Performance. But why is it the strongest link of any of the elements in our model? Why does the level of service have such a strong impact on the degree of trust between the client and a service provider? The answer is actually straightforward, when you think about it in real life. Many – no, most – of our clients operate complex businesses where their interaction with customers is based on a complex (and sometimes bewildering) array of services. Even manufacturing companies are heavily service-orientated these days. As an account manager or account director, you might like to spend your time having meaningful conversations with senior executives about where their business is going and how you can help, but the reality of day-to-day interaction is often explaining why that critical piece of machinery has not been delivered on time, or why the network that manages their business has fallen over again. When the basic delivery of service is a constant issue and source of frustration for customers, account managers find the trust built up with key client contacts erodes quickly. Responses like “I’ll sort that out for you” are fine, as long as the service issue really is sorted out. But ongoing service problems can be notoriously problematic, particularly when processes or technology need to be changed in order to fix what’s broken. It’s frustrating for the client and it’s frustrating for the account manager but, most important of all, it’s damaging to the long-term relationship and ultimately the revenue stream from that customer. 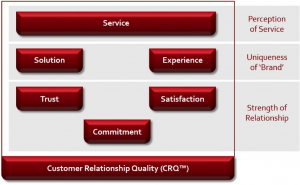 Trusted relationships are based on consistently good service delivery. That’s what the data says. And that’s why getting the service right (and right first time) is so critical.